The design gives comfortable and relaxing atmosphere from its modern interior mixed with a touch of Balinese local ambience reflected throughout the building, from the cozy lobby lounge to our private rooms and dorms. 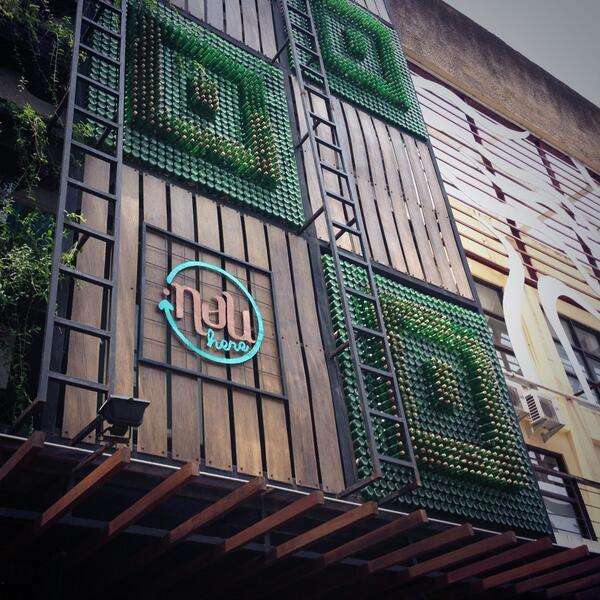 Located in the buzzing heart of Bali’s most famous tourist attraction area, Kuta, Nau Here Hostel let you feel the calm environment where you can relax in daytime and explore the hustle and bustle of surrounded happening spots within walking distance. 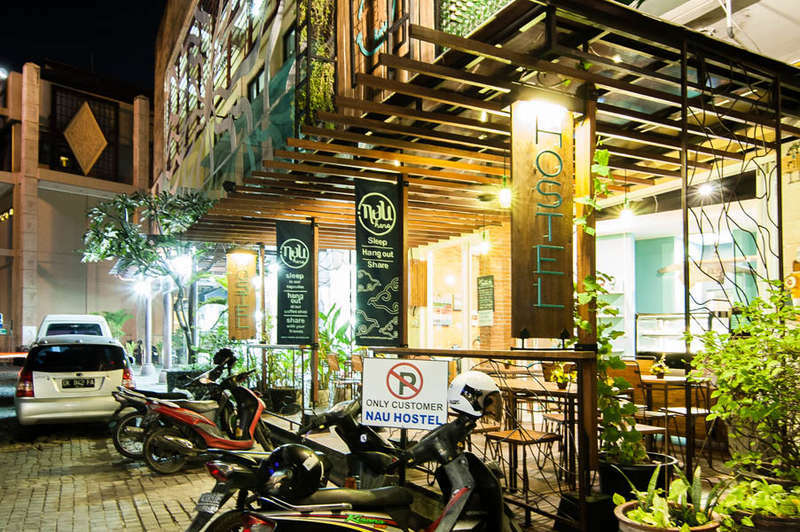 Nau Here Hostel is conveniently situated in center of entertainments and business points of Sunset Road, Legian Street and Seminyak area, with only 20 minutes driving from Ngurah Rai International Airport. Our lovely wooden lounge will firstly welcome you once you arrive where you can also make new friends, hang out enjoying the complimentary internet access with a sip of iced coffee and share your travel stories. By car : from Ngurah Rai International Airport, turn left to Raya Tuban Street (landmark is the white statue of horses with two characters from Mahabarata), go straight and until you reach Raya Kuta Street. Find the sign for Sentral Parkir Kuta, enter the location and find our block by VL 2 No 18. By taxi : From Ngurah Rai International Airport, you can take pre-paid airport taxi for IDR 150,000 (USD 12). Taxi counter is on the right side of international arrival gate. Airport pickup service is available at IDR 200,000 (reservation required 2 days before arrival). In case of no-show, the 50% deposit is non-refundable. In case of cancellation, the 50% deposit is non-refundable. To confirm your booking, we need your confirmation back by replying this e-mail and send us the proof of bank transfer. Full payment is required upon check in. We only accept guests above 15 years old. Smoking is only allowed at the lobby lounge (outside seating). For the safety and security of all guests, visitors are only permitted at the reception area. Guests may leave and store their belongings with us after check out at IDR 10,000 net per luggage per day.